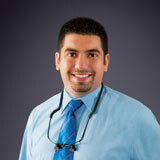 Charbel Klaib, DMD, has been a practicing dentist since 2007. He provides preventive, cosmetic and restorative dental services as well as emergency dental care to patients starting at age 12. Dr. Klaib offers thorough dental examinations, periodontal (gum) therapy, fillings, crowns, bridges, dentures, partials, teeth whitening, veneers, Lumineers, extractions, implant restorations, mouthguards, laser-assisted dentistry, and root canal therapy and retreatment, and Invisalign® clear aligners. Dr. Klaib earned his dental degree at the University of Florida College of Dentistry in Gainesville. His undergraduate degree is from the University of South Florida in Tampa. Dr. Klaib is a member of the American Dental Association, Academy of General Dentistry and the Florida Dental Association and is fluent in English and Arabic. Dr. James Nguyen specializes in early orthodontic treatment for elementary school-aged children, as well as braces and aligner options for tweens, teens, and adults. He’ll talk to you about your specific needs and goals and create a customized treatment plan. You’ll leave your first appointment with a clear understanding of your treatment options, the length of time the treatment should take, and how you can fit the cost into your family budget. 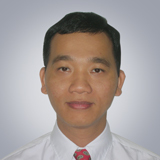 Dr. Nguyen is a member of the American Association of Orthodontists. He earned his Doctor of Dental Medicine (DMD) degree, Certificate in Orthodontics, and Master of Science in Dentistry degree from Nova Southeastern University College of Dental Medicine in Ft. Lauderdale. His undergraduate degree is from the University of Houston.